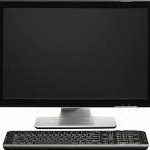 The most common reasons the screen on your PC has gone black.–PC Pitstop. Occasionally, a poorly-designed computer can overheat even if there are no obstructions. Most often this is because the CPU is being used too heavily for too long. This can be due to malware, which I’ll discuss in a moment, or it can be due to running a CPU-intensive program or game continuously for a long time. If the latter is the case, you may need to take steps to provide extra ventilation, or cool the air flowing around or through your computer. leo notenboom black screen. permalink. I just bought a Dell lap top with windows 8.1 I have a backup copy of my files from my windows 7 but windows 8 does not have a backup or restore program. Any suggestions on how I can install my windows 7 files on to my windows 8?